Start off your visit on the 23rd (Sat): see the interesting displays at Killer Whale Museum, take a leisurely stroll along The Merimbula Boardwalk, and then get in on the family fun at Magic Mountain. To find reviews, more things to do, traveler tips, and other tourist information, read our Eden trip builder . Sale to Eden is an approximately 4-hour car ride. In November, daytime highs in Eden are 24°C, while nighttime lows are 14°C. Finish your sightseeing early on the 24th (Sun) to allow enough time to travel to Batemans Bay. Kick off your visit on the 24th (Sun): try for a hole-in-one at Batemans Bay Mini Golf and then see majestic marine mammals with a dolphin and whale watching tour. Keep things going the next day: enjoy the sand and surf at Pebbly Beach, then admire nature's wide array of creatures at Birdland Animal Park, and then examine the collection at Treasures from the Deep Opal and Shell Museum. For reviews, traveler tips, and more tourist information, refer to the Batemans Bay trip planner . You can drive from Eden to Batemans Bay in 2.5 hours. Traveling from Eden in November, you will find days in Batemans Bay are a bit warmer (28°C), and nights are about the same (15°C). On the 26th (Tue), wrap the sightseeing up by early afternoon so you can travel to Canberra. 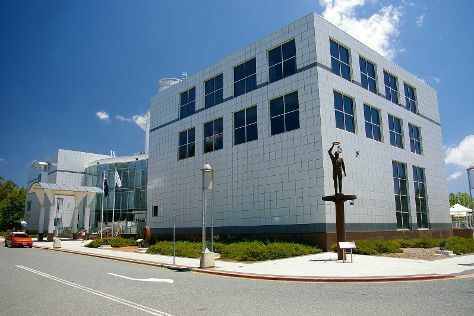 Canberra is known for museums, childrens museums, nature, wildlife, and parks. Your plan includes some of its best attractions: engage your brain at Questacon, make a trip to Mount Ainslie Lookout, get engrossed in the history at National Museum of Australia, and stop by Trove Canberra. To find ratings, reviews, maps, and other tourist information, go to the Canberra trip itinerary planning app . Drive from Batemans Bay to Canberra in 2 hours. Traveling from Batemans Bay in November, plan for slightly colder nights in Canberra, with lows around 10°C. You'll set off for home on the 30th (Sat).